A good snapshot keeps a moment from running away. There are some photos that just should not be hidden in a photo album. Moments I want to enjoy every day! Life is so precious. Everyone goes through hard times, but it’s the HAPPY, JOYFUL, FUN memories that make our lives complete. I want to focus on the good times and have our home serve as a reminder to my family of our many blessings. I’ve always been a picture person – the one with the camera as far back as I can remember. That’s not to say I’m a GOOD photographer – but I do love capturing moments. 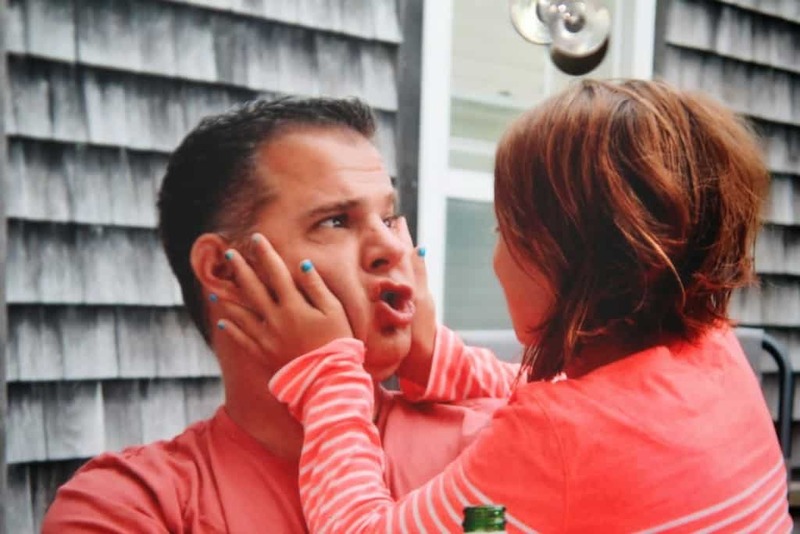 and fun pictures of my kiddos, nieces, nephews and friends through the years. 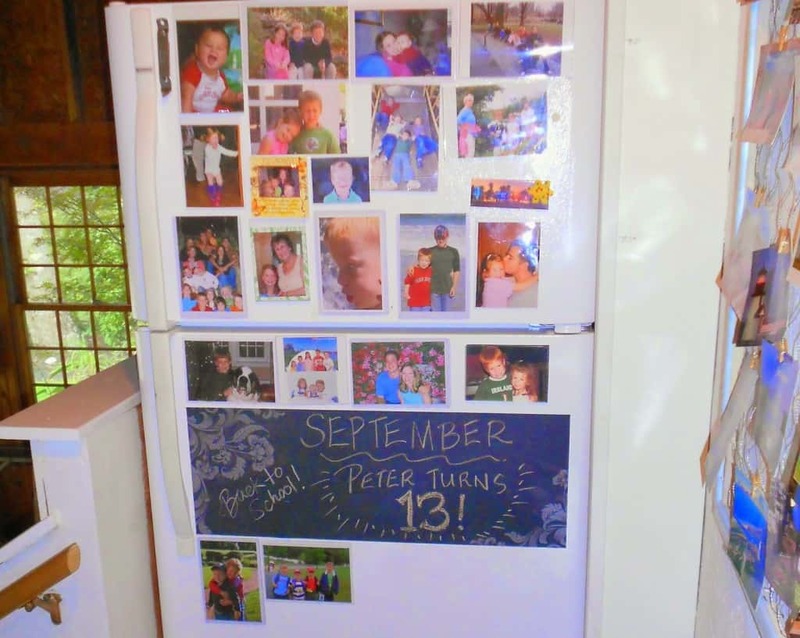 We have a second fridge in the entry from our garage, and I used to cover it with photos in magnetic sleeves. 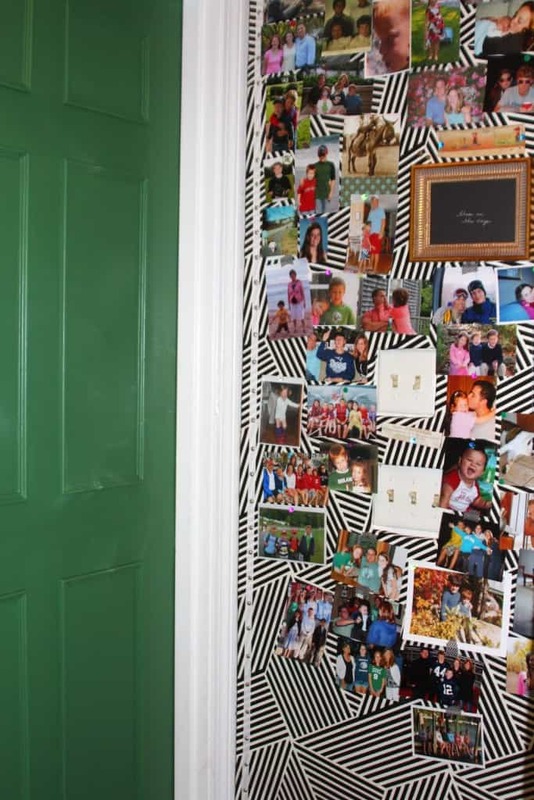 But there are just too many funny and cute photos around here and I started thinking about devoting a whole wall somewhere to snapshots that we could pin up randomly. 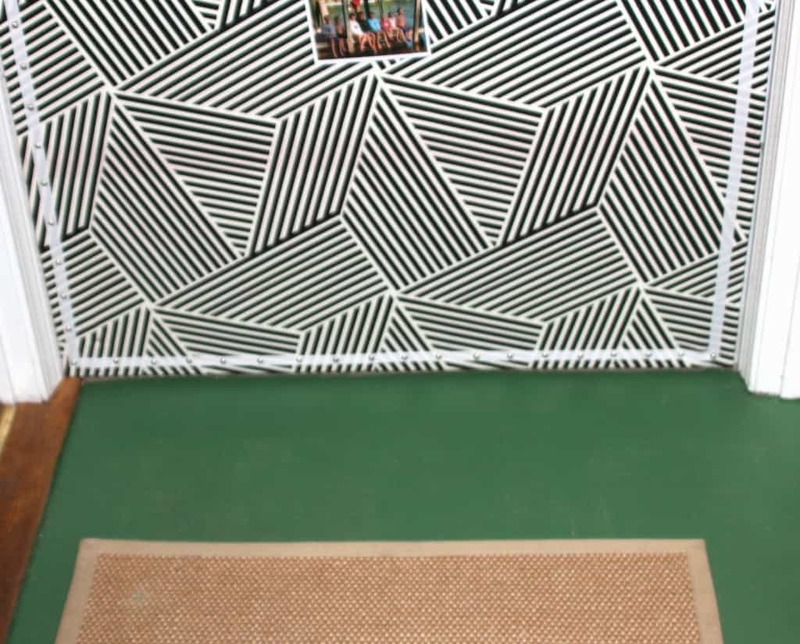 When I freshened up the mudroom I decided to mount an entire wall with a fabric-covered bulletin board. It’s a colorful and happy display and I love it! (like what I used to mount my nautical map) instead. The beaded styrofoam breaks down easily when you cut it and creates a huge mess. Also, the insulation is sturdier and will hold up to use better over time. The pros to using styrofoam or polystyrene insulation is that they are inexpensive and very easy to cut to size with a utility knife. Masonite is another building material that makes great bulletin boards (we have them in our kids’ rooms) but it is heavier and much harder to cut. Since I wanted to make cut-outs for the light switch plates, I opted for the lightweight insulation. OKAY let’s get to it! 2// Cut insulation. Measure and mark, and then use a T-square to just perforate the insulation. Don’t try to cut all the way through initially. The utility blade will pull the insulation and create a bunched up, messy cut. 3// After perforating, go back over and cut the insulation all the way through. 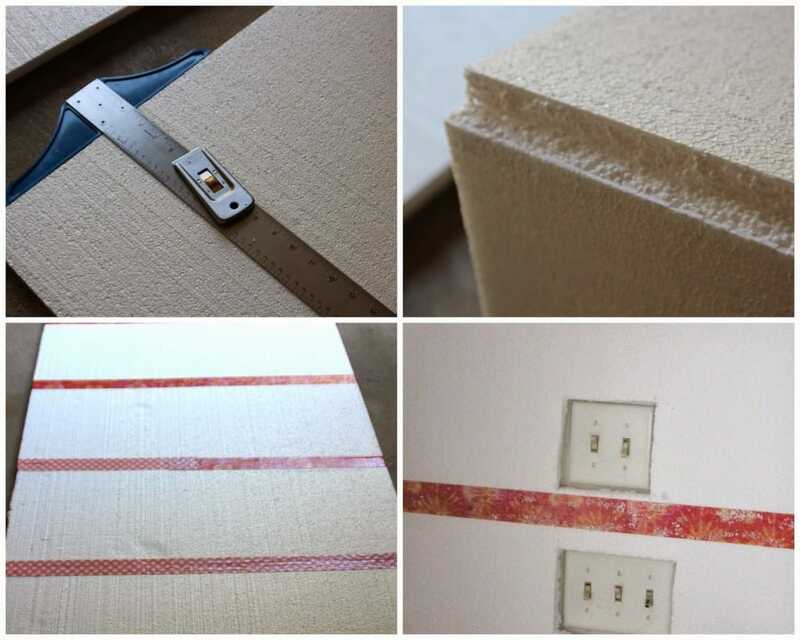 4// If you are cutting out holes for an outlet or light switch plate, measure and mark on the insulation, then use the method above to perforate and cut out the hole. 5// If you have to join pieces of insulation together, tape up the seams with duct tape. 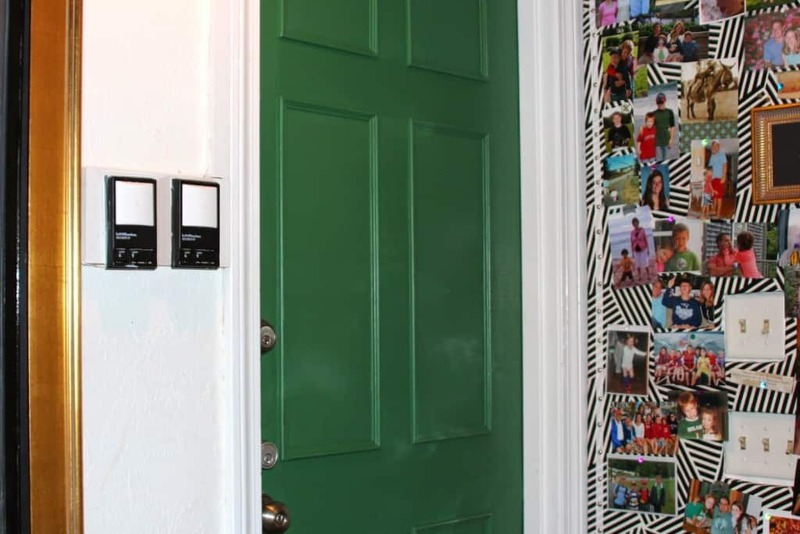 I chose a funky Nate Berkus fabric (from Joann’s) because I was feeling the need for something kind of modern around my house, liked the idea of black & white with the bright green door and floor, and the fact that it was 40% off the day I was there didn’t hurt either. Best of all, because of that crazy pattern, the fabric is very forgiving – I patched together a few pieces to create the length I wanted and the seams are not even detectable with photos hung on the board. 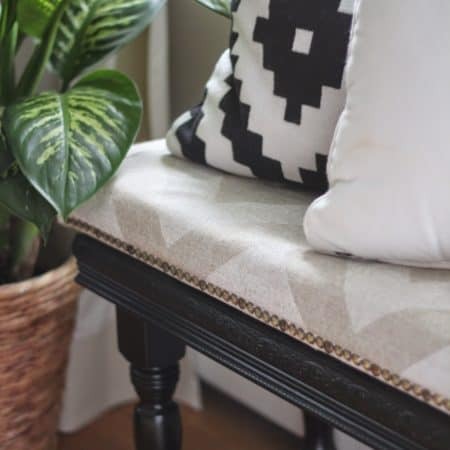 – with the fabric still facing the floor and the insulation adhered to it, cut a small hole in the center of fabric covering the cut out, then cut an X, making your cuts towards the corners. -each side of the insulation cut out will now have a triangular flap of fabric in front of it; take this flap and pull it to the back of the insulation, securing with glue, tape or pins. 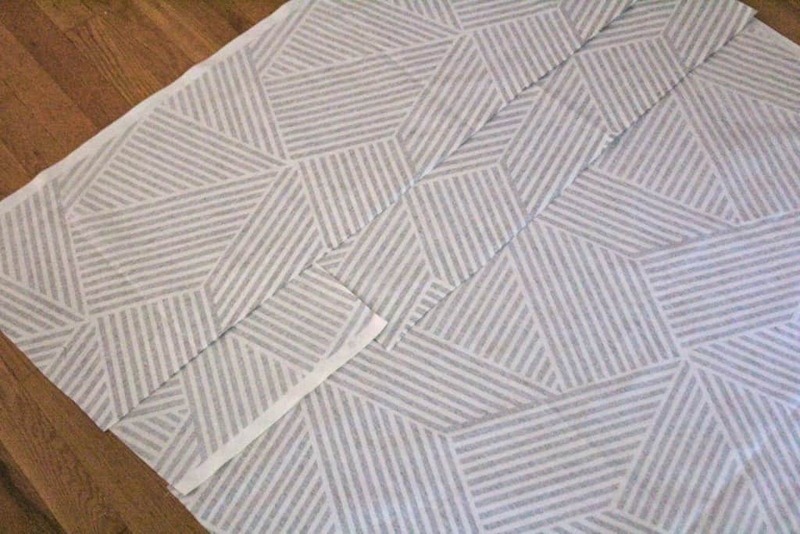 -flip the board over so fabric is facing up. 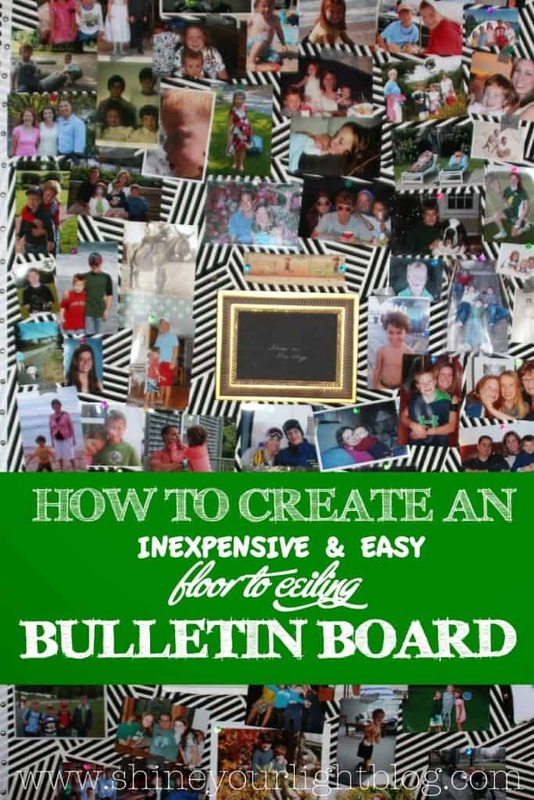 -trim out the edges of your bulletin board with ribbon and nail heads or thumbtacks (optional). 9// Mount to wall. I used small finish nails right through the fabric and styrofoam to attach the bulletin board to the wall. 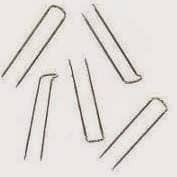 Place a nail in each corner and then a few across the top and on the sides. The board is very lightweight and doesn’t take much to keep it in place. And……enjoy your cheerful display of happy times!! Next week I’ll show you a couple other ways I spruced up this little area and made it a prettier place to welcome guests and come home to. In the meantime can you believe tomorrow is Halloween??? 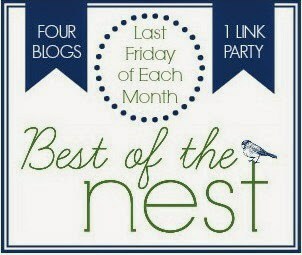 It’s also Best of the Nest Friday! 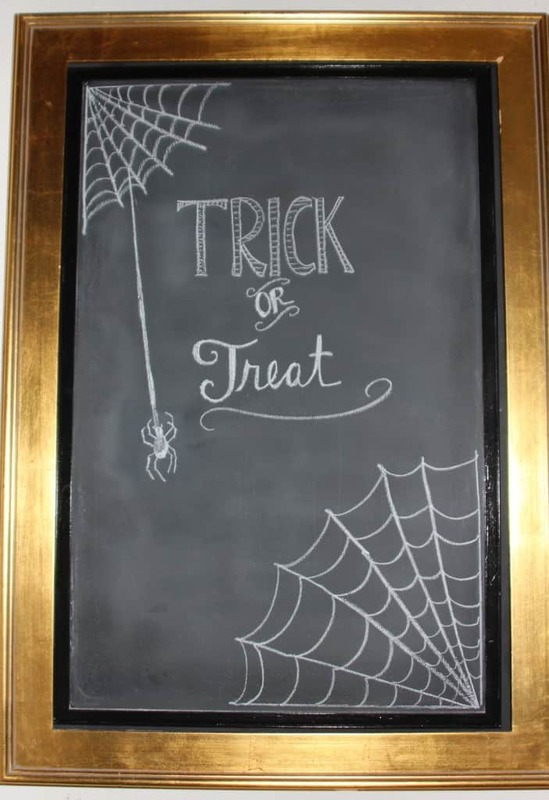 Come link up your own favorite project from the month of October, I can’t wait to see what you’ve been up to! Have a great day friends. And cheers to making happy memories! Come Join October’s BEST OF THE NEST Party!! i can't believe tomorrow is halloween- where has 2014 gone????? 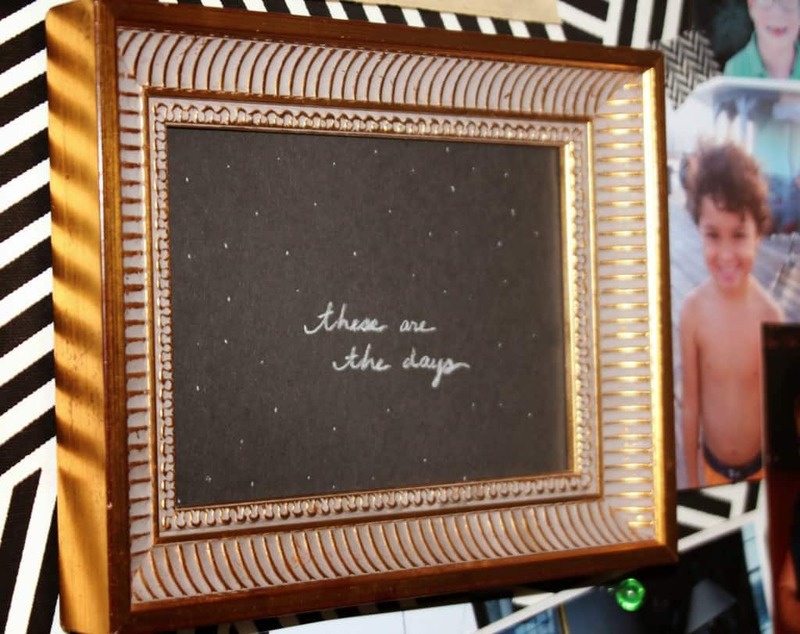 love this idea and love all those memories and moments being in plain view every day. So glad that you posted this tutorial – making one of these is still on my to-do list for my daughter's room. 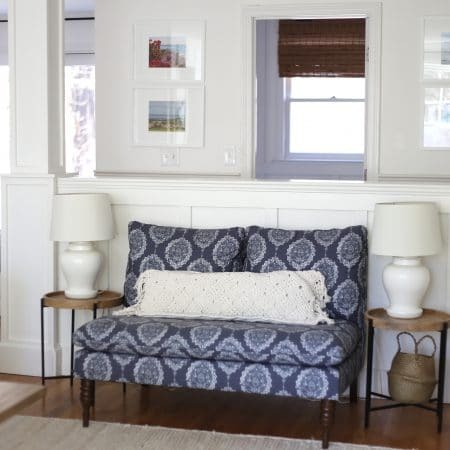 Love where you put your bulletin board and it looks amazing – such a great fabric! Such a clever idea, Lisa! So many sweet memories on your bulletin board. What a fun project! 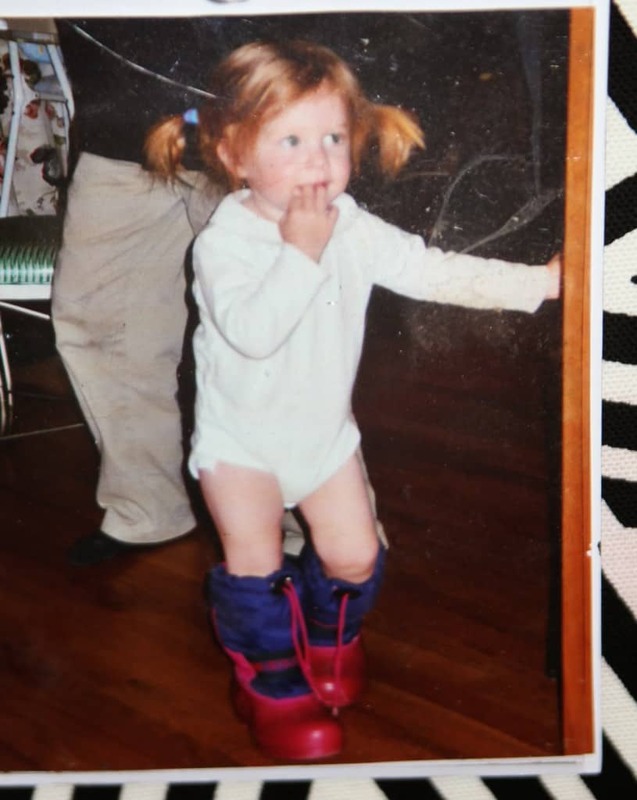 There's nothing better than looking at treasures of your little ones…to remind you they were little once. ha! That first picture of your daughter is priceless! I love using family photos as meaningful decor in my home too. 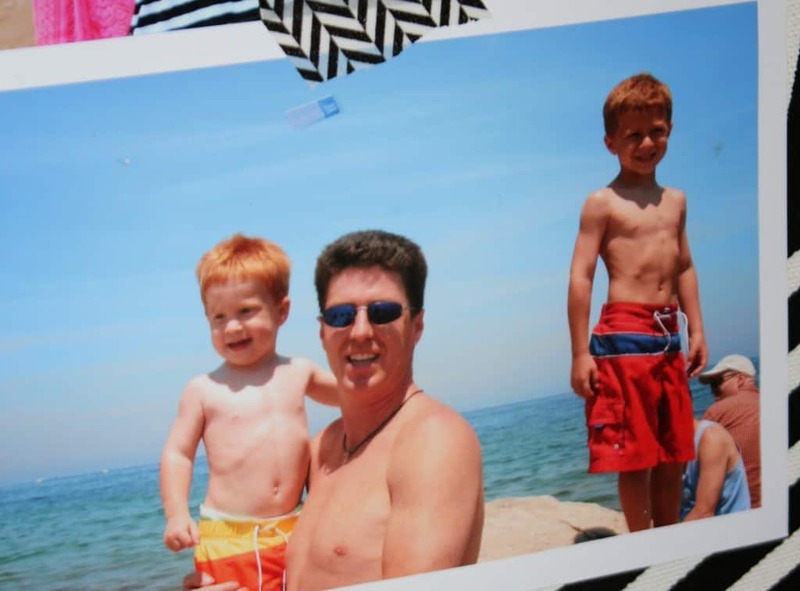 Such a great place to hold your family's memories! Lisa, I love this!! What a fun way to display photos!! I'm a picture gal myself, although way too many are just sitting on my computer. I love love love this idea!!! And of course the colors you used too. 🙂 I want to do this!